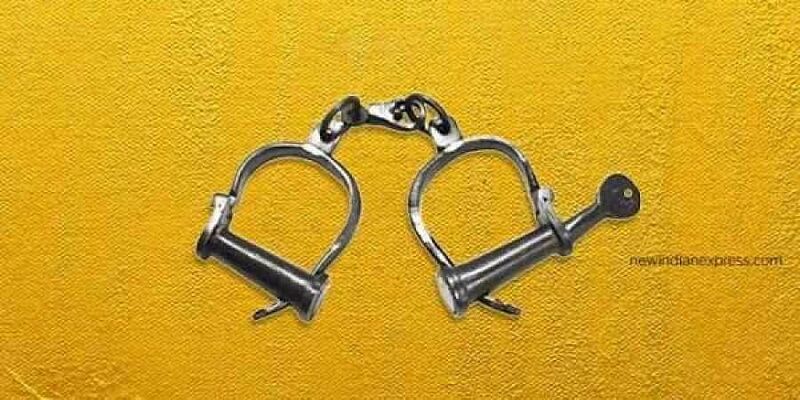 A notorious chain snatcher was shot at and nabbed by the Chandra Layout police on Saturday, after he attacked police personnel in a bid to escape. BENGALURU: A notorious chain snatcher was shot at and nabbed by the Chandra Layout police on Saturday, after he attacked police personnel in a bid to escape. The incident took place in Chikkabasthi near Jnana Bharathi. The accused Shakir Yasin, is a resident of Muzaffarnagar in Uttar Pradesh. A senior police officer said that Yasin had indulged in a series of chain snatching incidents in several police station limits in the West Division, for which a special team was formed to nab him. On Saturday evening, Yasin was on a bike at Vishweshwaraiah Layout when he was spotted by police sub-inspector Kalegowda and his staff. In a bid to escape when he was chased, Yasin attacked Kalegowda with a knife. When he made a move to attack other policemen, an inspector shot at Yasin’s leg to nab him. Both Yasin and Kalegowda were rushed to the hospital.